Cereal brand Weetabix has teamed with Cartoon Network to relaunch the last year’s successful Weetabuddies campaign. The campaign has been designed to encourage youngsters to hit their ‘five a day’ target and start their day with a healthy breakfast. 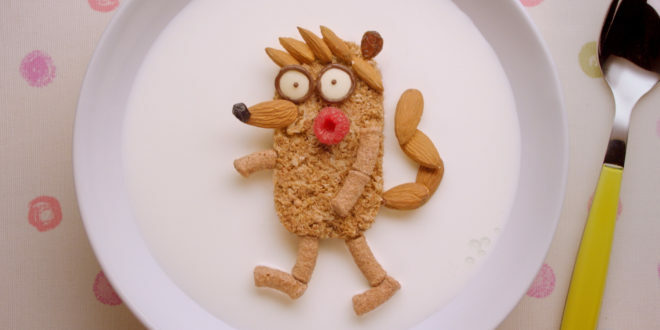 Based on a Weetabix wholegrain biscuit, Weetabuddy characters feature a range of toppings, the majority of which are fruit based, to encourage kids to increase their fruit intake at breakfast. In a more than £1.7 million Weetabuddy campaign, the Cartoon Network partnership will include sponsorship of a peak breakfast time slot for all of January, April, September and November and on air sponsorship of Boomerang in April and September. Cartoon Network has also transformed some of its most famous faces into Weetabuddies for the campaign, including Adventure Time’s Jake and Powerpuff Girls’ Bubbles. The channel has also built a bespoke Weetabix Weetabuddies microsite, where kids can create their own Weetabuddies and engage with exclusive mini games. Having launched for the first time in January 2015, the Weetabudies campaign helped deliver a four per cent increase in Weetabix sales compared to January 2014. Content for the campaign generated 1.5 million YouTube views. This year, consumers will have the chance to win one of five special edition Weetabuddies soft toys, including Tropicolin, Blue Barry, Coach Bananas, Raz Baz and Straws. Winners will be selected from online entries via the Weetabuddies website and social media channels. Richard Lawrence, head of brand, said: “When we launched the Weetabuddies campaign last year, our aim was to build the next generation of cereal eaters by getting them excited with a fun and creative way of eating a healthy and nutritious breakfast and upping their fruit intake. “It was our most successful campaign to date, and given the level of interaction with consumers, we wanted to bring it back with an added value reward for consumers.